POLICE in Rusape - with the aid of their sub-aqua unit - late Friday recovered the body of a 25-year-old man who had gone missing for a week and was presumed to have been taken by a mermaid in Rusape Dam. 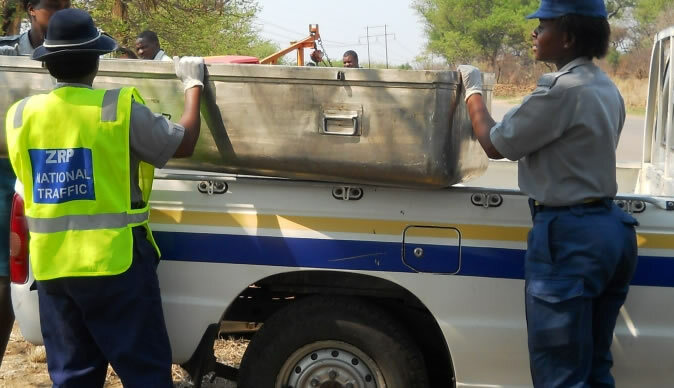 The body was retrieved near the Rusape River Bridge along the Rusape-Wedza road and was positively identified last Saturday at Rusape General Hospital. By Tuesday the body was still at the mortuary awaiting a post-mortem to ascertain the cause of death. Rusape District acting police spokesperson Sergeant Vimbai Nyateka confirmed the retrieval of TauraiMukaronda's body last Friday. Mukaronda is from Gunda Village under Chief Tandi. Sgt Nyateka said investigations were continuing. The body was first detected by Fungai Kwaramba who then informed Aylwn Kubvoruno Gambe of the discovery before reporting the matter to the police. "The body was retrieved with the assistance of the police sub-aqua unit at the Rusape River Bridge and it has since been positively identified. The matter is still under investigation. The body is still at the mortuary awaiting a post-mortem," said Sgt Nyateka. A relative who spoke to The Weekender on condition of anonymity revealed that Taurai was both an orphan and a mental patient. He was under the custody of his South Africa-based brother's wife, with whom he had a frosty relationship and constantly clashed. "His parents are both dead and the deceased was under the care of his brother, who works abroad. At the time of his death he was staying with the brother's wife with whom he often quarrelled. Their relationship was not sober, such that nobody really cared about his movements. That explains why nobody raised a finger for five days that he has been missing because they casually thought he would come back. Nobody can really explain what happened to him," said the relative. Several theories have since sprouted, with some villagers alleging that he was taken by a mermaid. The mermaid theory was fuelled by the coincidental claims that between May and August, a mermaid in Rusape Dam, famously known as Daniel, sacrifices a person. The disappearance and retrieval of Itai falls within that time frame. Sources who spoke to The Weekender argued that several victims have been disappearing between May and August in the dam every year. However, some discredited the claims arguing that Itai might have committed suicide by drowning himself. They suspect he took the action out of frustration. "It is hard to comprehend how a family could go for five days without bothering what had become of one of them who had gone missing. It took a visit by a relative from a distant place who had come to ask why Itai had failed to come to her home, as agreed to perform some menial job she had engaged him to perform. It was after the inquiry that a search for him was launched. We suspect that he committed suicide out of frustration. Why was nobody really concerned about his whereabouts or movements?" asked another relative. Itai's relatives were tipped off by a local cyclist who had witnessed the retrieval and positively identified Taurai. The following day, the man approached the family members, who were now searching for the deceased, but had not made a missing person report to the police and diplomatically urged to try their luck to identify an unclaimed body at Rusape General Hospital mortuary.